Best Wildlife Viewing at Ohio State Parks - Ohio. Find It Here. Springtime in Ohio State Parks is one of the best opportunities to see native wildlife that becomes active when the remnants of winter wear away. Maumee Bay in northern Ohio is one of my favorite spots because it is located on a main migration path for birds crowning it the Warbler capital of the world and host of the annual Biggest Week in American Birding. Bird species from rare warblers and Bald eagles to Egrets, Herons, Sandpipers, Quail, Pelicans and even Cormorants have been spotted in the area. All of Ohio’s 75 state parks have spectacular wildlife viewing opportunities. From the dense forests in Ohio’s southern regions to the northern shores of Lake Erie, the state has diverse native habitats for wildlife. You can look for white-tailed deer, waterfowl, turkey and beaver. You can even search for the two-legged kind of wildlife, Bigfoot, that has been spotted in southern Ohio. Making a trip to one of Ohio’s State Parks to view the wildlife is a fun year-round outdoor adventure. Check out the Ohio Department of Natural Resources’ Ohio wildlife species checklist as you set out to explore. Here are a few suggested parks in each region to get you started. Punderson State Park in northeast Ohio is surrounded by forest with a natural lake nestled in a glacial plateau making it a great park for wildlife viewing. 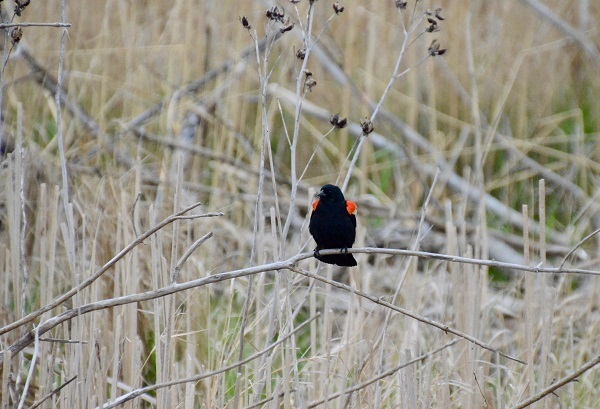 Waterfowl and other birds as well as dragonflies, beaver and owls can be spotted near Stump Lake along the Erie Trail. The trails near the sledding hill by the archery range are known locations for foxes, fox dens and turkeys. One of the best wildlife viewing spots especially for waterfowl is on the boardwalk behind the Manor. Headlands State Park is a great spot for Lake Erie birding, especially during the spring and fall migration. You will also spot many shorebirds along the water. When you visit the park be sure to walk to the adjacent Headlands State Nature Preserve which also has abundant wildlife. Beaver Creek State Park and the nearby Sheepskin Hollow State Nature Preserve have a diverse wildlife make-up. There are many designated observation spots to see native wildlife like deer, turkey and birds of prey. Maumee Bay State Park is probably the best location for Lake Erie birding during migration because it is where many birds stop to rest. There are also marshes in the park where you can spot lots of frogs and other amphibians. You may also see baby owls in the trees and deer walking in the woods. There is a lodge on-site for longer stays and a wildlife boardwalk and nature center where you can learn more about the wildlife in the area. While birding is popular in Maumee Bay State Park especially along the Lake Erie Birding Trail, there are many other types of wildlife species that live in the park’s 1500-acres of natural habitat. Deer Creek State Park is made up of dense woods, a large reservoir and meadows providing many types of habitats for wildlife so it is no wonder that this is one of the best locations for viewing in central Ohio. You can spot white-tailed deer along the main road from the lodge especially in the late afternoons. As you explore the park’s seven trails keep an eye out for the ring-necked pheasant, bluebirds, song sparrow, spring peeper frogs and possibly an eastern garter snake. The best spot for wildlife viewing in this park is on the osprey nesting platform. It is above the lake and allows you to observe the osprey in their natural habitat. Near the lake, you can observe the active white bass in the spring and saugeye in the fall. At night, you can see and/or hear the great horned owls from the docks by the water. Buck Creek State Park (CJ Brown Reservoir) has some common Ohio wildlife like beaver, white-tailed deer and many bird species but if you want a look at muskie, this is location is ideal. Watch as anglers fish for muskie or pick up a fishing license from a local bait spot and try catching them for yourself. Mohican State Park is hopping with wildlife from mammals, birds and reptiles to amphibians and fish. 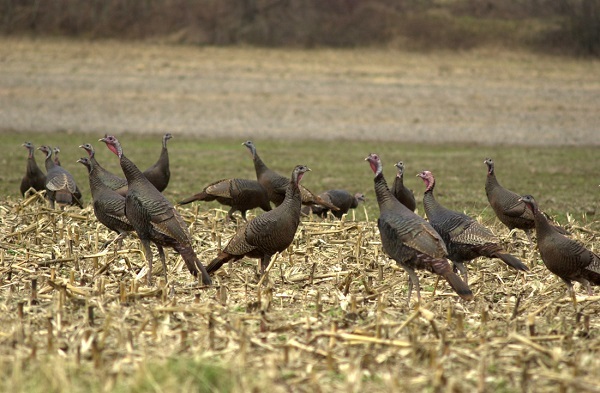 The top animals you will see are white-tailed deer and wild turkey mostly at dawn and dusk. Other wildlife that calls the park home includes muskrat and mink that are sometimes seen along the Clearfork branch of the Mohican River. There are occasional sightings of red fox in the park in the spring and summer. For red-headed woodpeckers and pileated woodpeckers go to the Gazebo Trail at the lodge. Lake Hope State Park has a regular hummingbird feeding program for visitors at the park’s nature center during summer months. This is a good opportunity to get up close to the small birds and learn about their habitats. Lake Hope State Park is a great place to target if you are on the lookout for fish species as you can get into the coves by canoe or kayak to see the activity in the water. Lake Hope State Park has a regular hummingbird feeding program for visitors at the park’s nature center during summer months. This is a good opportunity to get up-close to the small birds and learn about their habitats. 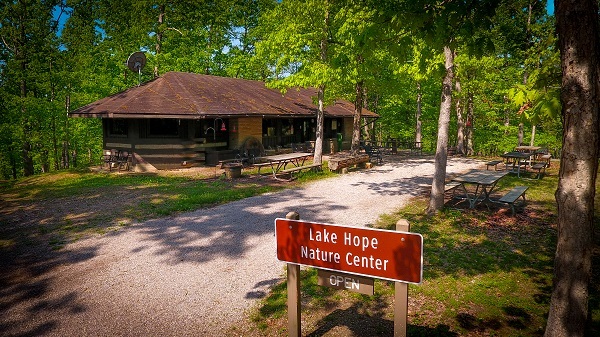 Lake Hope State Park is a great place to target if you are on the lookout for fish species as you can get into the coves by canoe or kayak to see the activity in the water. Salt Fork State Park, Ohio’s largest state park, has a variety of wildlife species such as deer, turkey and other birds as well as opportunities to search for Ohio’s most famous two-legged species— Bigfoot. 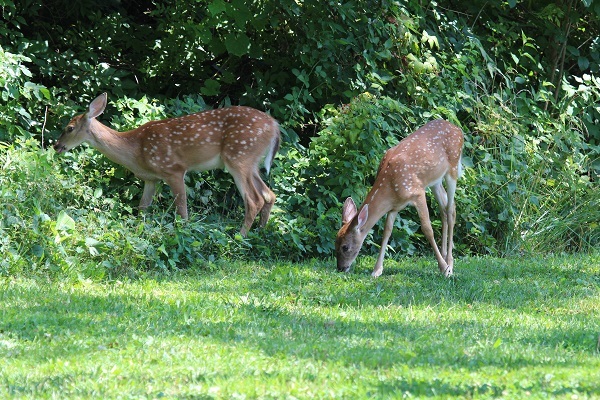 The Salt Fork habitat is home to large populations of white-tailed deer which are the most common species in the park. You can also find beaver near the Hosak’s Cave parking lot and along the Stonehouse nature trail, bald eagles and osprey near the Salt Fork Marina, and at Hosak’s Cave parking lot. 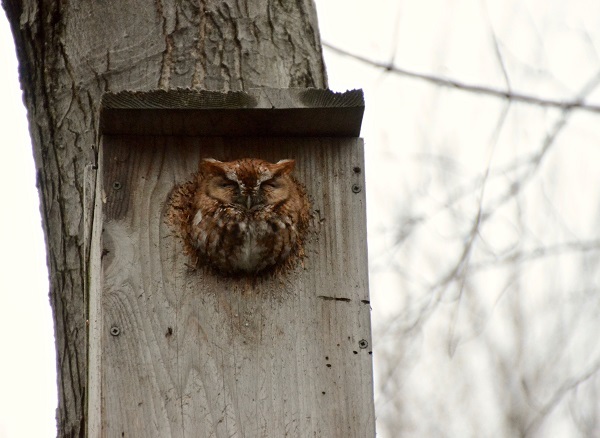 You can spot barred owls, warblers, black-billed and yellow-billed cuckoos or even a black bear or bobcat near the park office or the Morgan’s Knob loop trail. Shawnee State Park has great birding opportunities, lots of butterflies, white-tailed deer and it is a great park for fishing. The two lakes in the park are perfect for kayaking or fishing. A good time to go is during the annual trout derby held at Turkeyfoot Lake. Be sure to stop by the nature center for tips on the best wildlife viewing during your visit. Hueston Woods State Park has wildlife viewing throughout its trail system and operates a year-round nature center that does wildlife rehabilitation. 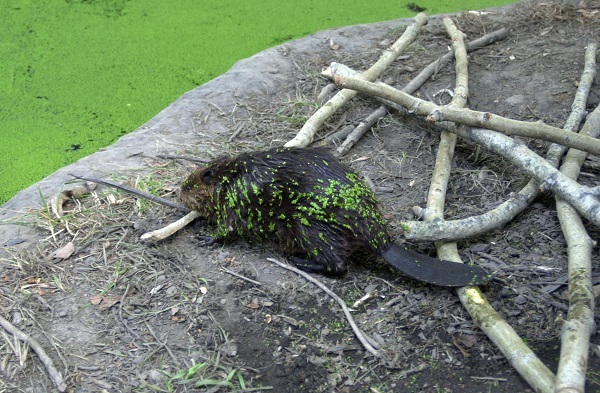 You can visit the nature center to learn about the wildlife that calls the area home and find out how the state rehabilitates wildlife that are injured so they can return to the wild. One of the best ways to prepare for a wildlife viewing visit at any of the Ohio State Parks is to familiarize yourself with the park layout by downloading a map before your trip from the Ohio Department of Natural Resources. You might also look into naturalist programs that are offered during your visit that will showcase the best seasonal nature and wildlife viewing opportunities.